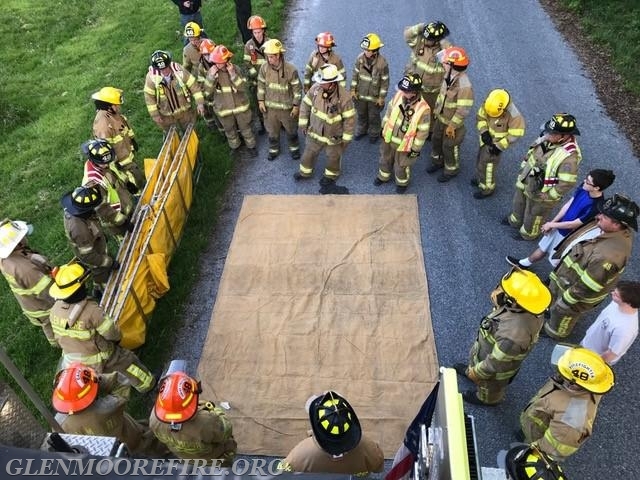 On Wednesday evening, the volunteers from the Glen Moore Fire Company gathered for their weekly training session. This week’s training topic was on water supply. Water supply is a critical element for fire suppression. 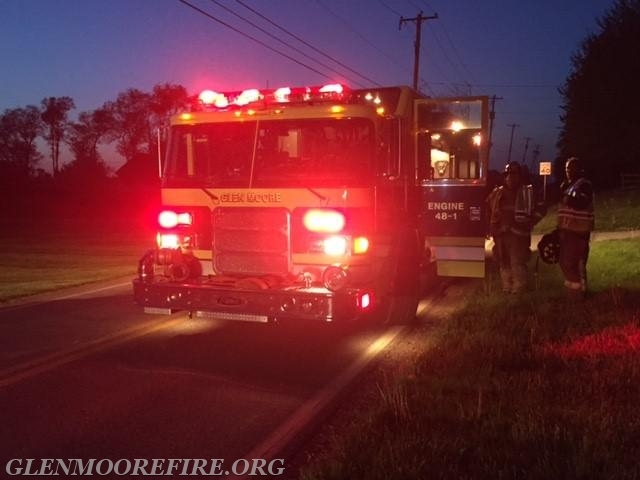 There are no fire hydrants in the three of the four townships that we serve; therefore, the fire company needs to rely on using other water sources such as ponds, rivers, and tanker trucks from our mutual aid fire companies. 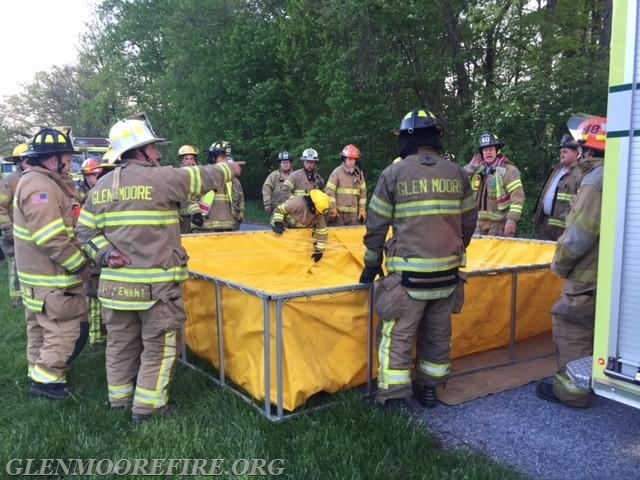 The officers led a review of how to set up and draft from the portable water tank. 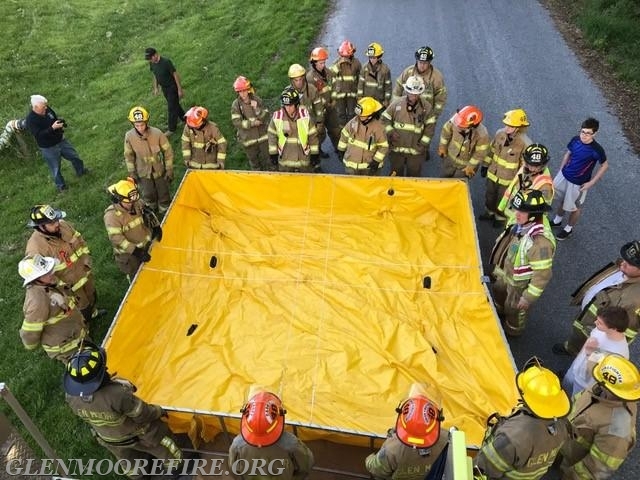 A portable water tank is a temporary collapsible tank designed for the storage of water. It is usually set up near or front of an attack engine or possibly next to a supply engine. This enables tanker trucks to quickly drop off their load of water and return to the fill site as soon as possible. 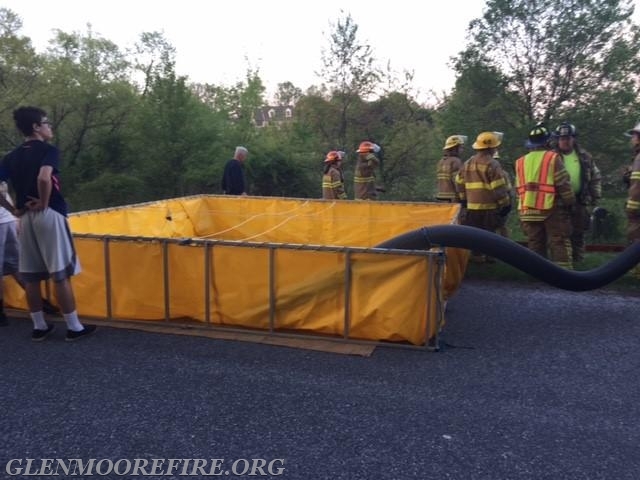 The portable water tank that the Glen Moore Fire Company uses can hold up to 3000 gallons of water at one time. 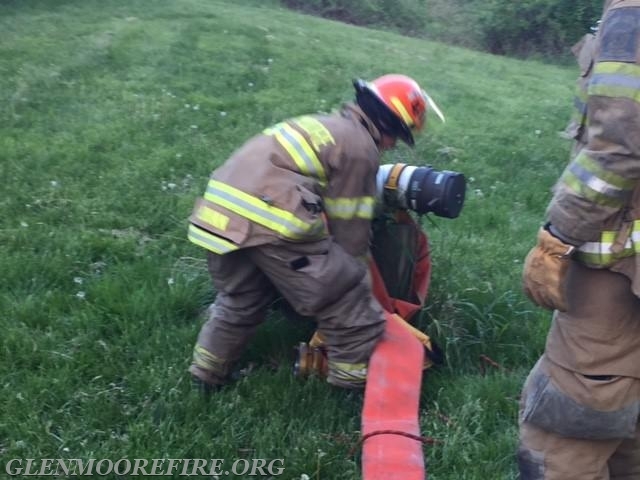 The crew then reviewed and practiced connecting to a dry hydrant. A dry hydrant is usually an unpressurized, permanently installed pipe that has one end below the water level of a lake or pond and the other end extending to dry land and available for connection to a pumper. These are critical for providing water for fire suppression operations. 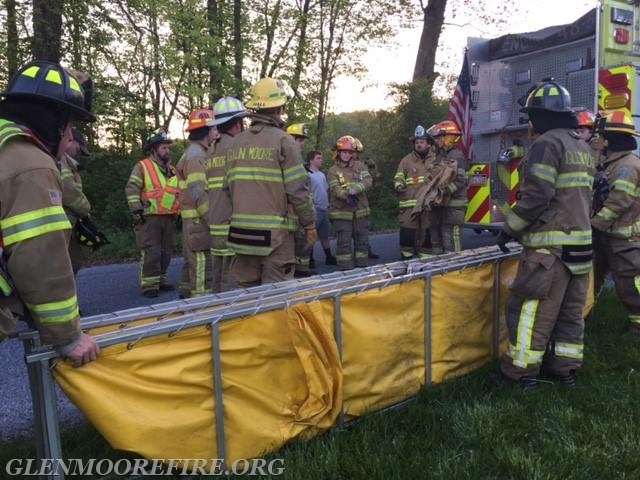 During the training, the fire company was dispatched to a motorcycle accident in West Brandywine Township. 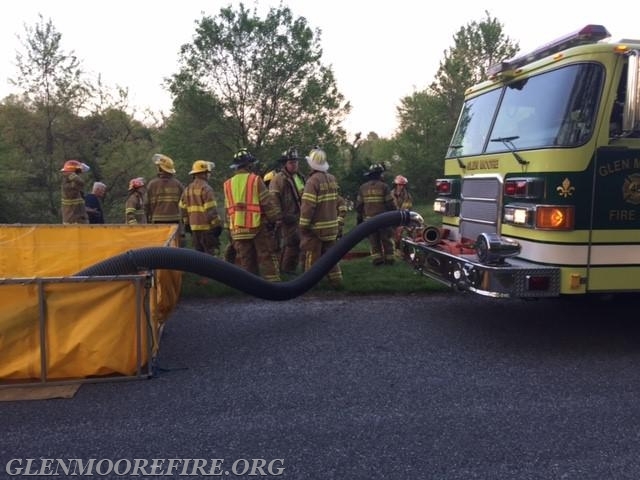 The fire company was providing coverage for a neighboring fire company while they were at a training at the Public Safety Training Campus. 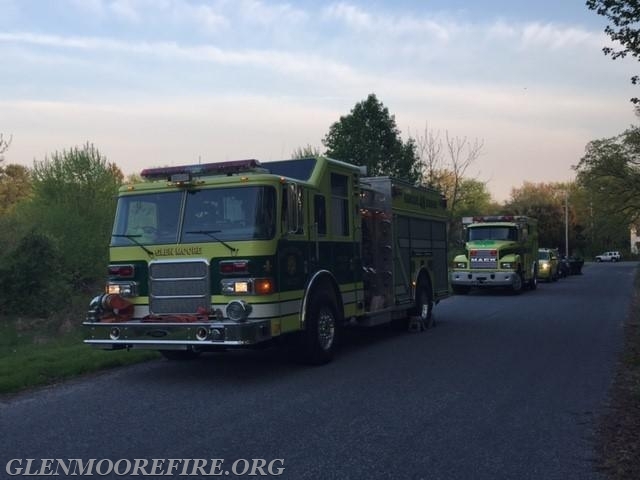 Engine 48-1 and Squad 48 made the response along with an ambulance from Washington Hose Company (Coatesville – Station 41). 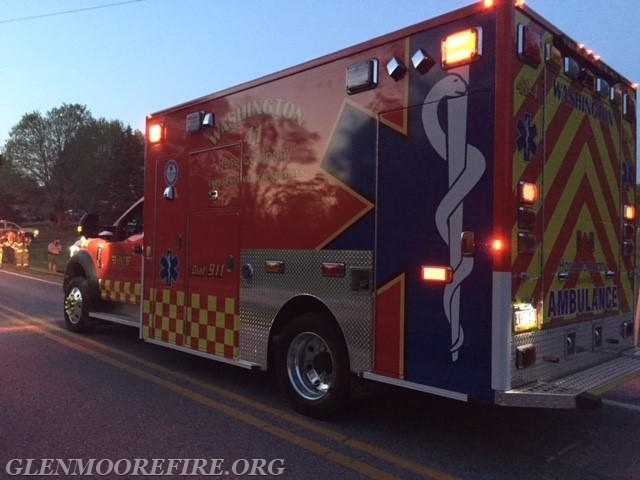 The EMT’s from Squad 48 provided patient care until the ambulance arrived while the crew from 48-1 assisted with traffic control.